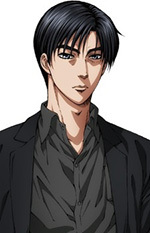 Hajime Sato has a lot of credits for Game Arts titles to his name, including roles for the various iterations of the LUNAR games. In particular he was the Scenario Storyboard artist for LUNAR Silver Star Story. 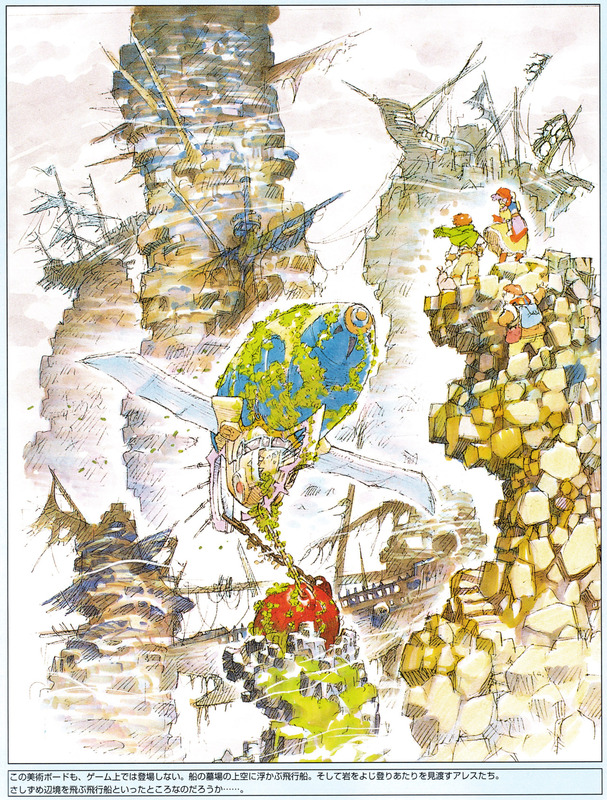 If you have flipped through the instruction manual or the now-difficult-to-find strategy guide then you have likely seen his works utilized throughout. Of particular interest are some of the really out there ideas that were likely held back due to limitations of the hardware and, I'm guessing, time. The very first image for example shows what appears to be a pod-race type scenario that has some striking similarity to the air bike service tunnel chase scenes from Akira. 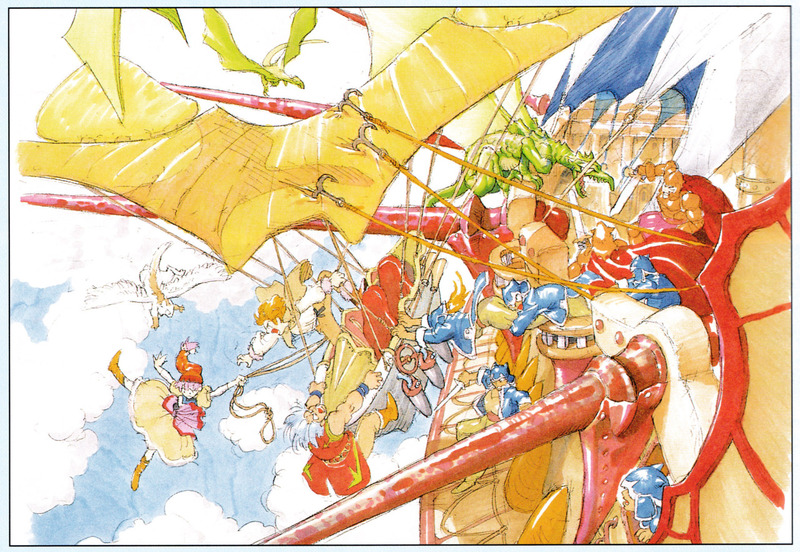 I particularly like that it's Mia piloting it alongside Alex, suggesting it's later in the story (aside from the obvious Dragonmaster regalia). Or how about Alex, Luna, and Nall escaping pirates aboard a small air ship? I thought this particular image is interesting as it appears to possibly be an alternative form of one of the dragons, yet if you look closely in addition to books there are old computers strewn about. At first I thought you were saying the green lizardy thingy was maybe a proto-dragon. 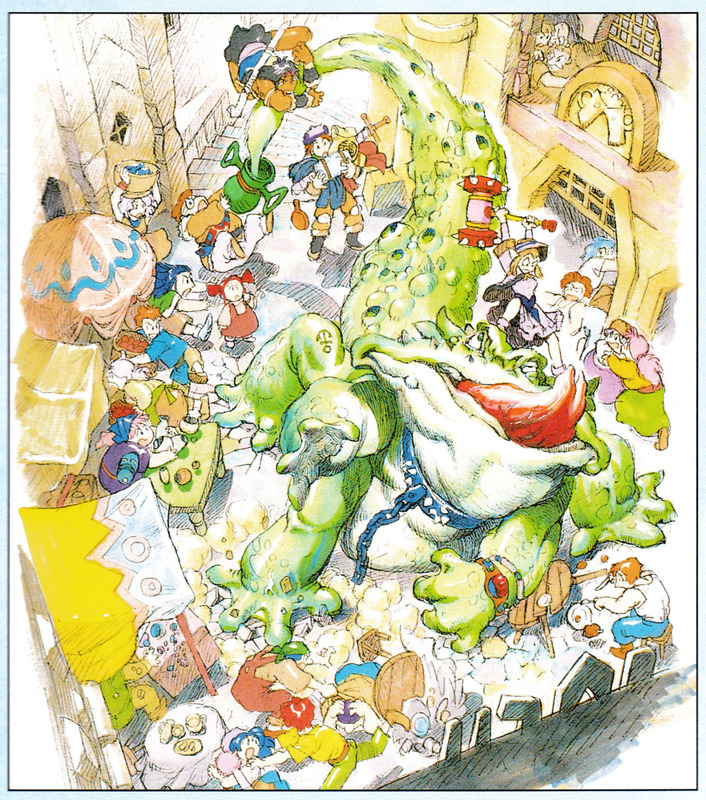 It looks like Zoc's Frog-Lizard to me, though given its setting (Meribia seems most likely to me, with the tavern there) it's probably Dross's water dragon, or simply a dragon in a pot that Ramus bought while they were stocking up on supplies. The anchor tattoo is funny. I'm also trying to remember if Jessica uses a mallet in any other version besides Lunar Legend. 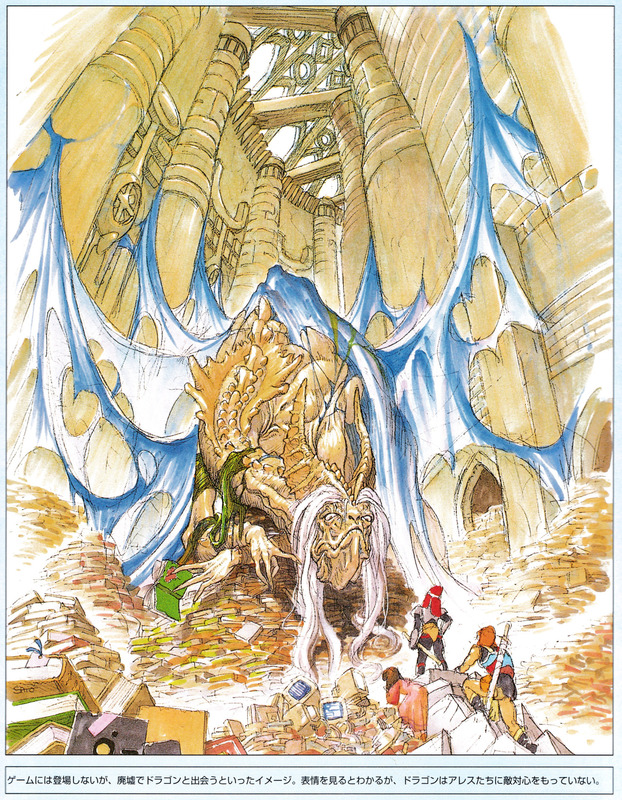 The dragon on books is in the SSS artbook and looks a lot like Quark in age. And not just computers; there's a 5 1/4" floppy in the foreground. The last one is an interesting graveyard of boats. The airship made me think of the one Myght builds, but I realized it also bears considerable resemblance to the one in the Vheen manga -- which is unlikely to be a coincidence, since Satou designed that one as well at Funato's request. The other boats are all of the sea variety, though, so I wonder if this is supposed to be a drained section of ocean or something. Hey, I was doing some research on Sato recently! His work for Lunar is so imaginative and every so often I wonder what he's been up to. Following his career is a bit tricky; a lot of Japanese people have the name Hajime Sato. 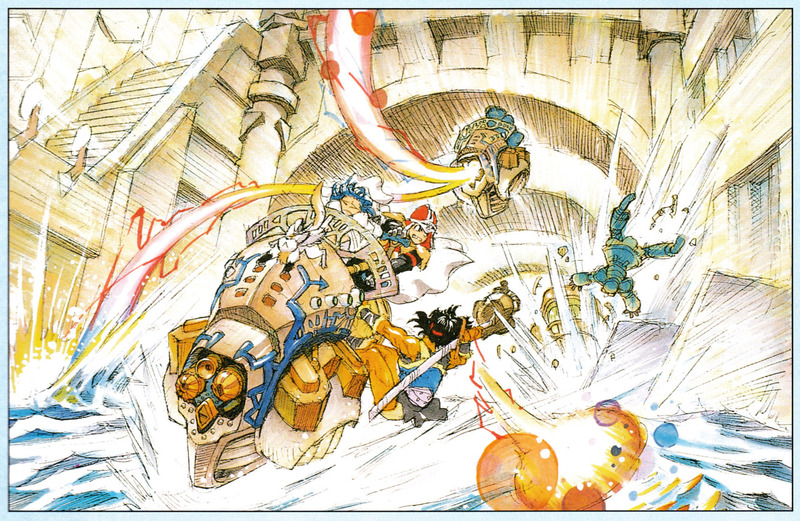 Sato worked on another Game Arts game, Alisia Dragoon, before working on Lunar and that stuff is also a treat to look at. After Lunar he got into background art and set design for anime on some early 2000's Sunrise shows (Argento Soma, Witch Hunter Robin) and mid 2000's Gonzo shows (SoltyRei, Shangri-la). https://creatorsbank.com/LANPELNISS/profile - Lists some of the anime he worked on. There is also a gallery to peruse on this site, but the illustrations are mostly in his personal style and I seriously wondered if I had the right Hajime Sato for a minute. There are some "work" boards buried in there, though. These days, Sato appears to work for a board game company called Talosil Games and is credited on a game called Susume! Yggdra Tankentai, which has a website here. These are all really good. Especially the Demon-form Ghaleon one on the link.